Request a range repair in Calgary today! Send our company a message or just call our staff to set an appointment. Whether there is a problem with the oven or stovetop, our appliance techs will find and correct it. We come quickly and have the equipment to service gas and electric ranges no matter of the brand. No matter how the range is powered, it’s not safe for you to fix. 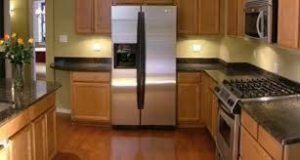 At Appliance Repair Calgary, we have the experience to repair ranges. Our pros are insured and factory trained. You can trust our updated knowledge and thus competence to fix but also install any range on the market. Call us. When you’ve got trouble with the gas appliance, call us for fast help. We provide gas range repair in Calgary, Alberta. One of our local pros will be in your house in a timely manner. Rushing to help is a must in our company, especially if gas is released. Contact us if there is a strange odor in the kitchen. Call us to fix any problem with the range. With expert appliance troubleshooting skills, our techs detect the issues and do any oven range repair needed. We will fix any stove top and replace any part. Is one burner is not heating up? Is the oven door stuck or the gasket is torn? Does the oven have erratic temperatures? 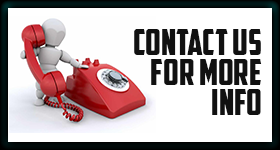 Call us to handle any range related issue. Since electric but also gas range installation must be done correctly for operational and safety reasons too, call us. If you ever decide to replace the existing appliance and get a new range, we will be happy to install it. All pros are trained to do any job related to ranges. If you want to use an appliance you can trust, check us out for any Calgary range repair service.